Place of Death: Chanhassen, Minnesota, U.S. Prince, also known as Ƭ̵̬̊, was an American singer, songwriter, musician, record producer, actor, and director. He is remembered for his amazing vocal range and ability to play multiple instruments proficiently. His songwriting is also highly acclaimed. He wrote some of the best hits for many other artists. Prince was the son of Mattie Della (Shaw), a jazz singer, and John L. Nelson (John Lewis/Louis Nelson), a lyricist and pianist. His father performed with the jazz group the Prince Rogers Trio, under the stage name Prince Rogers. Prince was formerly married to actress and dancer Mayte Garcia. They had a son, Ahmir, who died a week after birth. Prince’s parents were both black, as were all of his grandparents and great-grandparents. A picture of Prince’s father can be seen here. A picture of Prince’s mother can be seen here. Genealogist Megan Smolenyak Smolenyak, writing for The Huffington Post, traced Prince’s roots on both sides of his family. Among her findings are that six of Prince’s eight great-grandparents were born into slavery, and one of his great-grandmothers was possibly the daughter of her owner. Early in his career, Prince stated that he had Italian ancestry, sometimes from his father, and sometimes from his mother. This is not accurate. In the autobiographical film Purple Rain, Prince’s character’s father is played by an African-American actor and Prince’s character’s mother is played by a Greek actress. 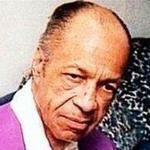 Prince’s paternal grandfather was Clarence Allen Nelson (the son of Edward Nelson and Emma Hardy). Clarence was born in Louisiana. Edward was the son of John Nelson. Prince’s paternal grandmother was Carrie Jenkins (the daughter of Handy Jenkins and Dina/Lina Ann Phillips). Carrie was born in Louisiana. Dina was the daughter of Ashley Phillips and Martha. Prince’s maternal grandfather was Frank/Franklin Shaw (the son of Preston Shaw and Eliza Britt/Brett). Frank was born in Louisiana. Prince’s maternal grandmother was Lucille Bonnell (the daughter of Sam W. Bonnell and Katy/Kate F. Hale or Head). Lucille was born in Louisiana.